A2Z Filing Systems has been in business in Northern California since 1983. 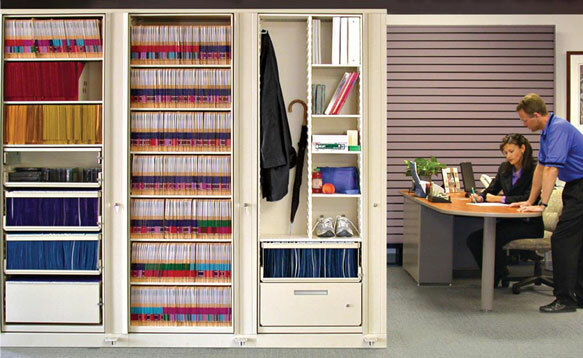 At A2Z Filing Systems, we specialize in space efficient equipment, designed to maximize space and personnel efficiency. We provide expertise on space planning, layout design, file application, conversion and installation. We offer a full line of file folder and color coded file systems. Additionally, our systems are designed to be interchangeable with your existing files. You can be confident in choosing A2Z that you will receive the most comprehensive product selection and diversity, competitive pricing, and always excellent service. Along with working with small to medium sized businesses, we also have several U.S. Government and County accounts and provide excellent references. Medical: Dr. Tanenbaum, Dr. Peri, Santa Rosa Oral Surgery, Bank of America, Kaiser Permanente, and many more . We are proud to be a California Certified Small Woman Owned Business.